Some of the patients were coming in with bleeding from almost every orifice: their ears, their eyes, in their urine. Their symptoms were mysterious and severe and emergency room doctors across much of Illinois were mystified. Some worried about Ebola, the viral hemorrhagic fever feared for the uncontrolled bleeding it was reputed to cause. Others struggled to dose patients with fresh plasma, which delivers natural blood clotting factors. 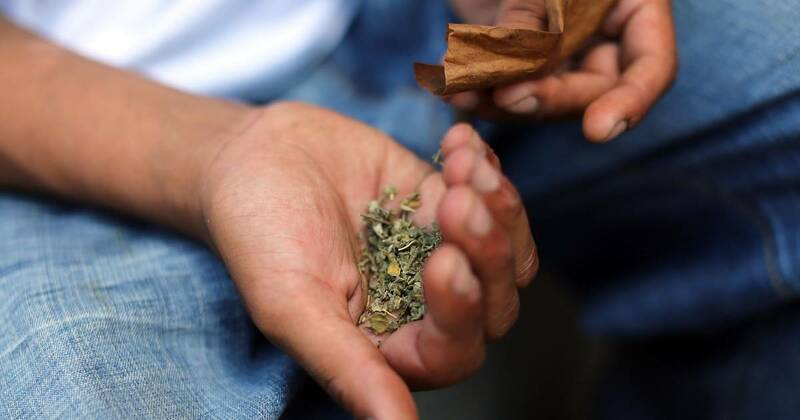 After frantic calls to one another across the state, doctors figured out that the patients had all been using synthetic marijuana — a product known variously as K2, Spice, Kush, Kronic, or Scooby Snax. It provided a cheap high and was sold in gas stations and convenience stores. But why such dramatic injuries? “People were just bleeding from some unknown cause,” said Dr. Jonathan Roberts, a blood specialist at the University of Illinois College of Medicine at Peoria. More calls and more tests established that some of the products were contaminated with what are known as super-warfarins – blood thinners that are most often given to people with heart problems that make them susceptible to blood clots that cause heart attacks and strokes. It was not immediately apparent, however, what to do to help the patients. It turns out it’s both easier and harder than anyone thought, Roberts and colleagues reported in Thursday’s issue of the New England Journal of Medicine. Roberts and colleagues described a string of cases seen at Saint Francis Medical Center in Peoria between March 28 and April 21 of this year. There’s a standard test to measure how blood is clotting. These patients were off the charts in terms of clotting dysfunction, Roberts said. The best treatment, they found, was vitamin K. It’s a low-tech way to get blood to start clotting again, and usually a few pills will set a patient right again. It took more than a few pills to take care of this particular group of patients, however. Over a period of a few weeks this past spring, more than 150 people were brought in suffering from bleeding disorders. They were all later linked to tainted synthetic cannabinoids. The drugs, for reasons that remain unknown, had been contaminated with super-warfarins, Roberts said. “These are rat poisons,” he told NBC News. They earned their name because their effects are prolonged. “In humans, the effects can last for months,” he said. The people who ingested the tainted K2 would need to take vitamin K in large doses for months in end. That may seem like a simple solution, but it wasn’t. “It is actually very expensive,” Roberts said. “It’s somewhere around $24,000 to $34,000 a month.” Pharmacies didn’t carry the kind of stock needed. “In central Illinois, we ran out of oral vitamin K,” Roberts said. The doctors sought donations from non-profit groups. Dr. Amar Kelkar, a resident at the hospital at the time, called Valeant Pharmaceuticals to try to get the company to donate some supply. Valeant eventually did give 800,000 doses to the Illinois Department of health last April. But the kind of patients who seek out a cheap high at gas stations are not always the type who will follow medical directions carefully, who have good health insurance, or who are likely to check back in for follow-up treatment. Many remain at risk for hemorrhages. “We had trouble getting patients to pay for it,” Kelkar said. And there are still fresh cases. Illinois has had more than 160, and cases of people poisoned by synthetic pot cut with rat poison have been reported in Connecticut, Washington D.C., Wisconsin, and Maryland. “I have had patients since this study was done that have come in bleeding from multiple places — the eyes, ears, vomiting blood, coughing up blood,” Roberts said. Kelkar, Roberts and colleagues wrote their article so that every emergency room or clinic that may see patients affected by these rat-poison-tainted drugs knows what to do. The vitamin K, they say, is highly effective if used in high enough doses and for long enough. It’s a standard treatment for when a heart patient gets their warfarin dose wrong and has blood coagulation problems. But the super-warfarins call for much more than normal. Synthetic pot is made by taking plant material and spraying it with chemicals that can mimic the high from marijuana. It is a Schedule 1 drug, joining cocaine and heroin as a drug with high abuse potential and no medical benefit. It’s not known why anyone would contaminate these products with blood thinners. One theory is that they are supposed to prolong the high by interfering with the metabolism of the cannabis-like drug. “There is also a potential for malicious contamination, either by a drug manufacturing competitor or as an act of bioterrorism,” Kelkar and colleagues wrote. The team described the case of one victim who died. The 37-year-old woman mystified the trauma team when she came in unconscious. “Recent use of synthetic cannabinoids and amphetamine was reported at admission by her friends who brought her to the hospital; they did not report known head trauma,” the team wrote. A CT scan showed she’d had a brain hemorrhage. Doctors gave her giant doses of vitamin K and four units of plasma, but it was too late to save her. “Fifteen hours after presentation, she met criteria for brain death,” the team wrote. The only positive note was that her organs could be donated.